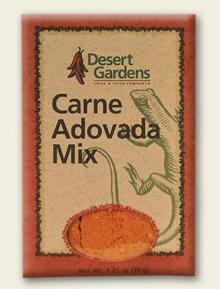 Just add this mix to 2 lbs of cubed, browned pork for the best Carne Adovada ever! No need to add water – the moisture from the browning pork is enough (if too dry add 1/2 cup of water). 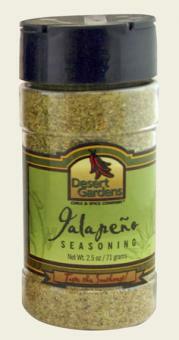 This is a great filling for burritos or as a side dish with eggs or rice! Great as a burrito filling or serve as a side to scrambled eggs. Seasons about two pounds of meat. Mix contents with 2 pounds of bowned cubed pork. Cook in crock pot for six to eight hours or stove top on med-low until tender. Add water as needed; start with 1/2 cup. Crushed Red Chile, Paprika, Salt, Corn Starch, Dehydrated Tomato, Vinegar Powder, Onion, Garlic, Spices, and Citric Acid. When I purchased this I had no Idea what Carne Adovada was, but I was curious. I must admit I did vary from the directions somewhat with some additions. This is like a meat stew. I cooked in a crock pot all day after browning the pork loin cubes. I am not really a straight meat eater so after about 5 hours I cooked up about 3/4 lb diced carrots, and onion and chopped 2 large tomatoes. I sautéed all of this to reduce the moisture and added it to the pot to cook for a couple more hours . It turned out great. The spice temperature is medium and I wanted to turn up a little especially since the carrots give a sweet component to it so I added some Desert Gardens Cayenne Pepper seasoning. Very Tasty !